I had always been aware of the importance of taking care of the earth, but until my family had an energy audit in my home, I had never witnessed the field work that directly aids sustainability efforts. I recall being both intrigued and inspired by the technique and the thoroughness of the energy audit, which provoked me to ask one of the workers about how they became involved with their work. Before the workers left, I was sure to ask if there was any way that I could be involved in the same field of work. 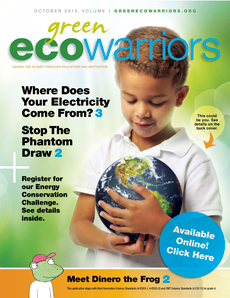 One of the workers put me in contact with Leticia Colon de Mejias, the creator and President of Green Eco Warriors. I emailed Leticia right away, hoping to become further involved with efforts to improve the environment. Soon after, I received a response. 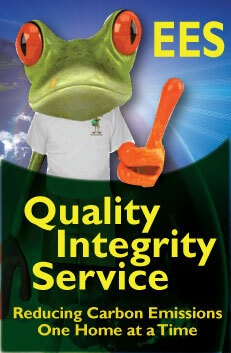 That next Saturday, I began my work with Green Eco Warriors. 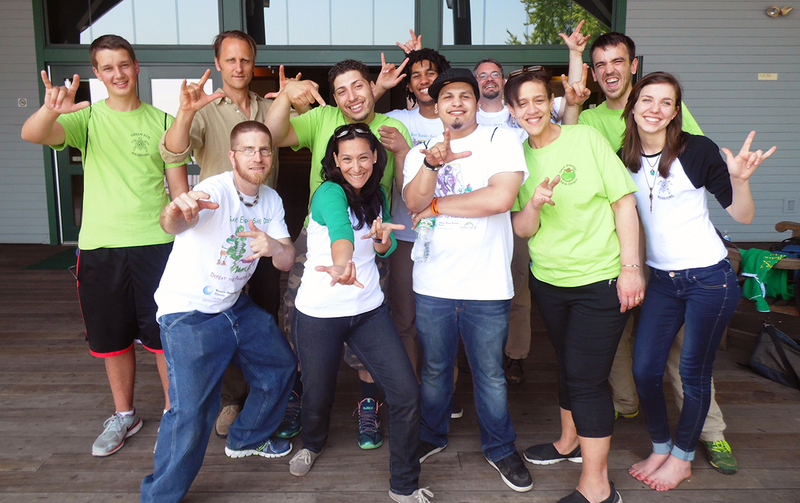 For the past two years, I have thoroughly enjoyed my time as an intern with Green Eco Warriors. I love being able to spread environmental awareness to youths through creative mediums. For example, I have helped write and edit scripts for skits, create costumes, and make props. 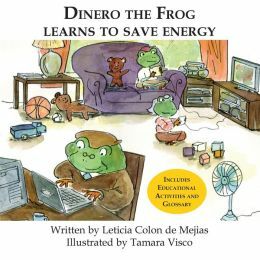 Perhaps my favorite medium is the comic book series, featuring Dinero the frog. The highlight of my time as an intern is definitely the Youth Summit, held at the beginning of last Summer. Hundreds of students from schools that Green Eco Warriors had visited spent the day playing games and learning more about how they can help the earth, accompanied by the Green Eco Warriors staff and special guest, Jeff Barrie, who directed Kilowatt Ours. This event was both a celebration and a lesson, rewarding, encouraging, and fostering a love for environmental sustainability. Many of my friends ask my why I would spend my Saturday mornings driving to Windsor to do work that I am not required to do, and the answer is quite simple; we, as a society, must take action to protect the environment and to share with others the urgency and necessity of the situation. Already, we have seen huge disruptions in natural systems, including extreme weather patterns, temperature variations, melting of polar ice caps, and severe water shortages to name a few. Not to mention the immense harm to humans, plants, and animals entirely due to anthropogenic environmental negligence. Through my work with Green Eco Warriors, the environmental club at my high school, and environmental science classes, I have realized how important it is that we take immediate action. Green Eco Warriors is the perfect opportunity for me to both spread this message in an optimistic way and to take action in sustainability efforts. 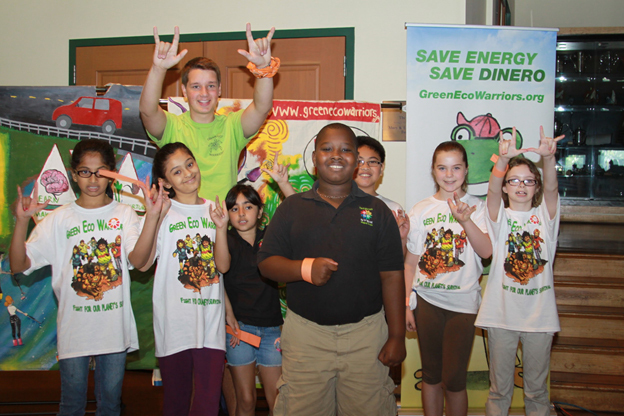 The opportunity, provided by my internship with Green Eco Warriors, to inspire youths to create positive environmental change in their communities is an unforgettable experience that I will carry with me throughout my journeys.